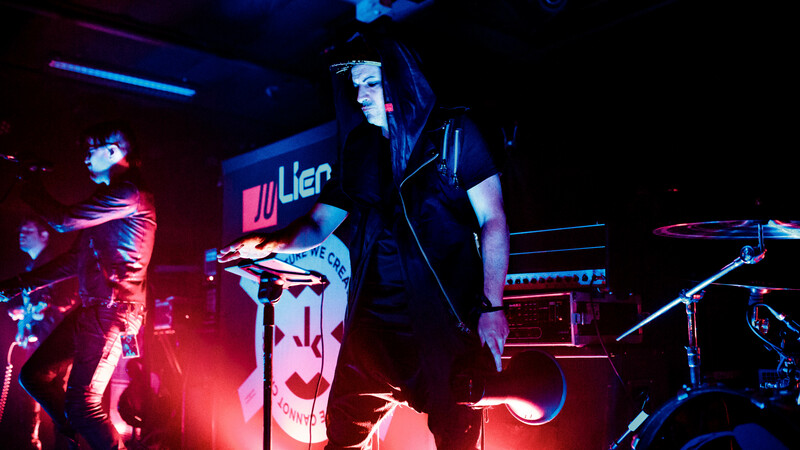 Julien-K kicked the night off opening up the Black Labyrinth Tour at Ready Room in St. Louis, MO. 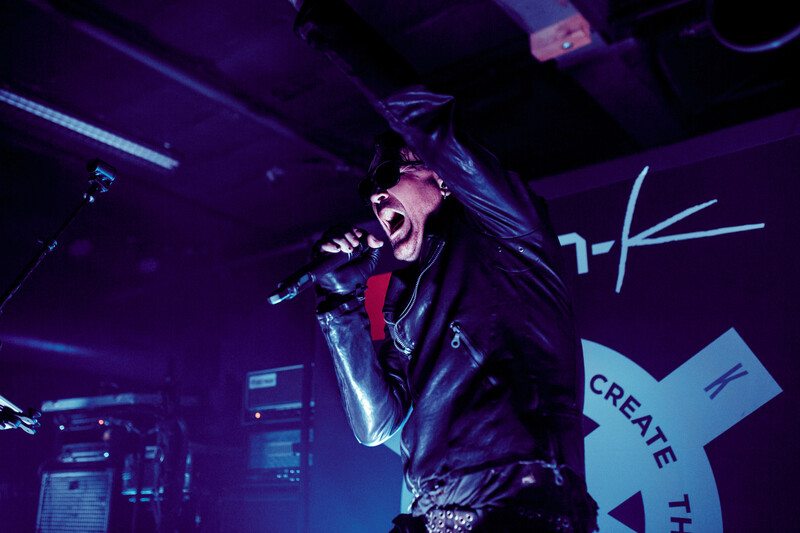 with a new electric spin on the popular rock sound. 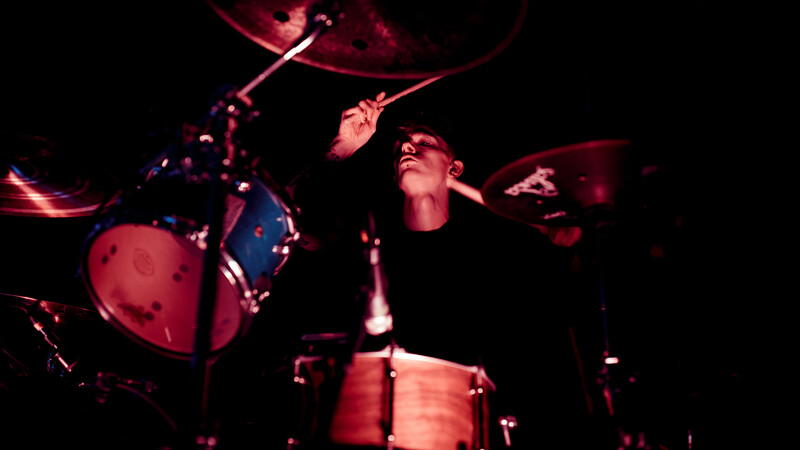 The band is touring along side The Birthday Massacre and Jonathan Davis of Korn. 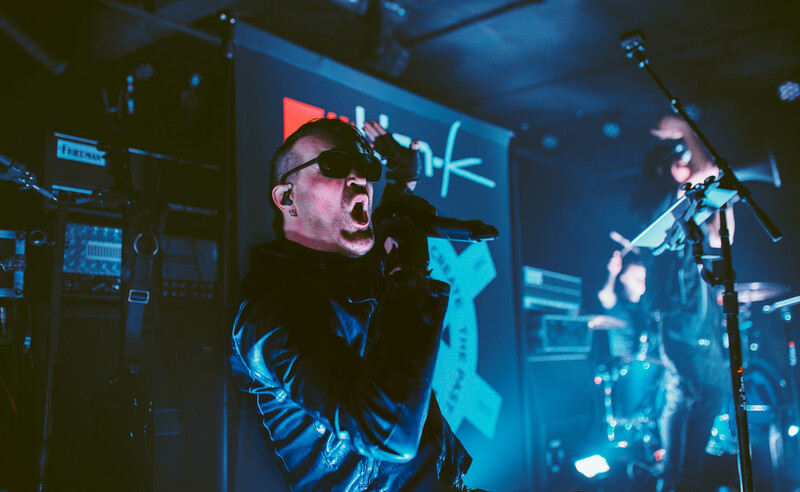 Ryan Shuck, the singer for Julien-K, told the story of how his band was fortunate enough to be on this tour. Fans of Korn may already know, but Ryan went on to tell of how Jonathan and himself had started a band over 20 years ago that went by the name of “Sexart”. 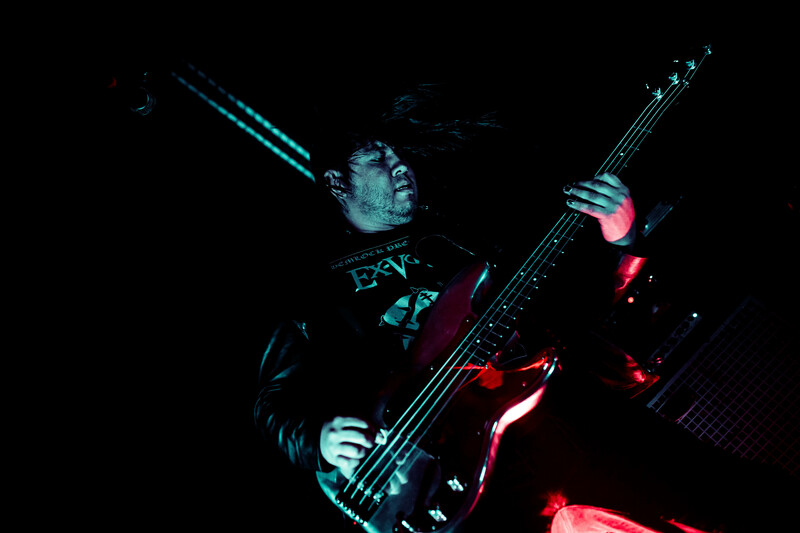 When things took off for Jonathan with Korn he departed from Sexart, and then signed that band who is now known as Julien-K. The stage lights were turned off and lights were placed by their feet to set the mood for their set. 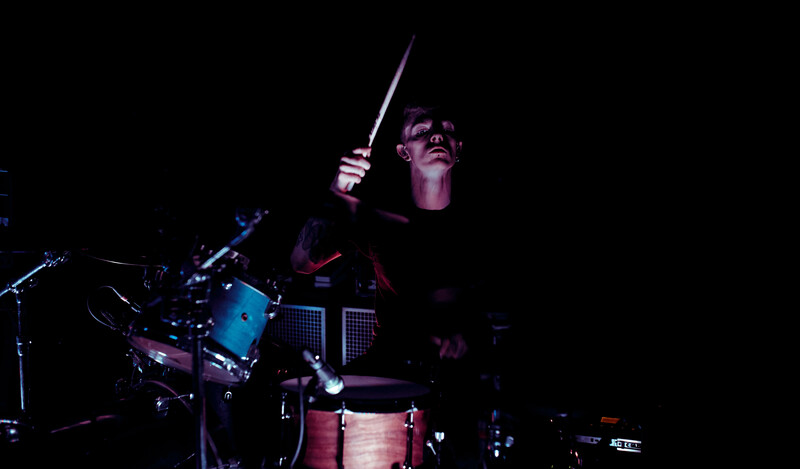 Lights flashed with the electronic drum sounds that shook the venue. 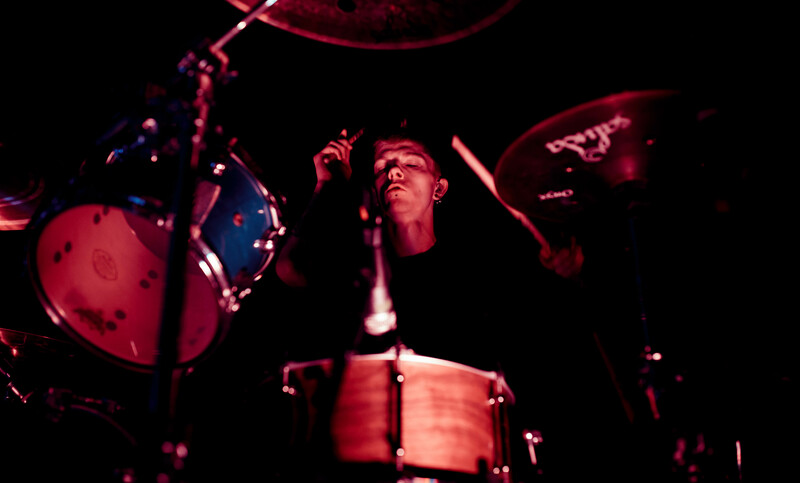 Julien-K had great crowd participation and it was obvious that they had some dedicated fans in attendance that night. 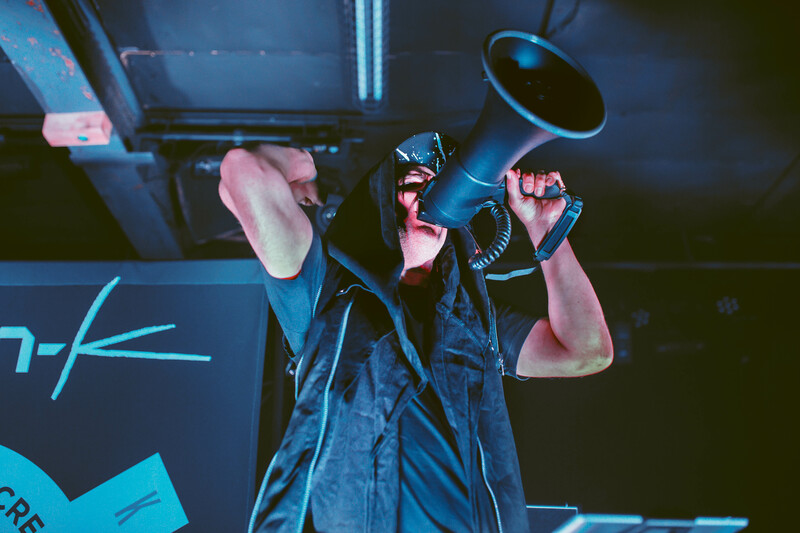 Amir Derakh, who was commanding a megaphone and drum pad at the start of the set, was full of energy and swapped his megaphone for a guitar mid set showing his multiple talents. 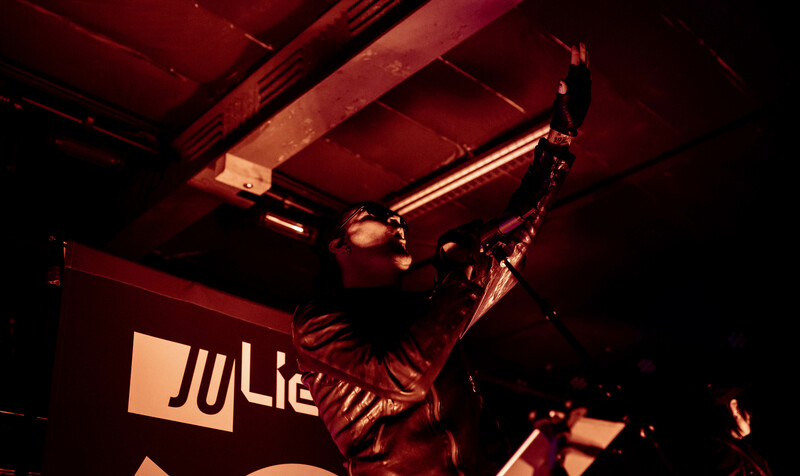 Julien-K are releasing new music in 2019, be sure to keep up with all of their release dates by following them on Facebook and Twitter. Click on any photo below to open the gallery and scroll below the photos to see the music video for “Photo Voltaire”. 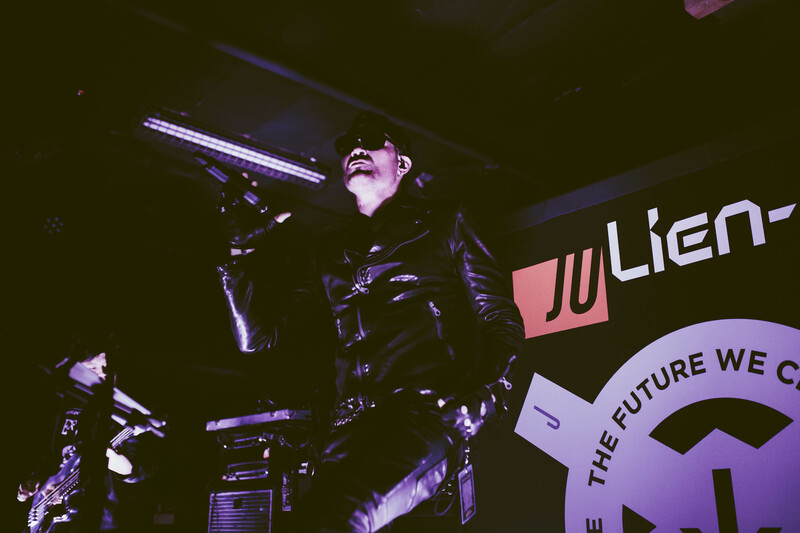 PHOTOS OF JULIEN-K AT THE READY ROOM. IN ST. LOUIS, MO ON OCTOBER 22ND, 2018.